Price Surge for Driving Lessons? 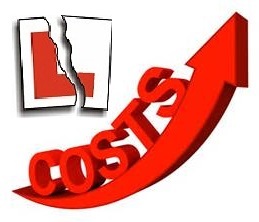 I read a piece in the driving schools trade magazines putting forward the idea of price surges for lessons when demand is high and all our diaries are full. The taxi trade was used an example with higher prices at peak times. I suppose this happens a lot in transport. Train tickets are more expensive at peak times. Air flights are more expensive in the holiday season so should we be any different? I don't think the price surge idea would work with driving lessons. A taxi journey is just a one off for a lot of people. The customer doesn't know the taxi driver personally most of the time. Compare this to a driving instructor who has got to know a pupil over time and has formed a good working relationship with them. I would not feel comfortable telling a pupil that their lessons were going up in price because I was getting more phone calls at the moment. I think they would feel they were being cheated. I know I wouldn't like it if it were done to me. Are we to reduce prices below our usual when times are not so busy, around Christmas for instance? I have no intention of lowering my prices at any time. I think it's negative business. Unless I get really desperate. I think we need to remember that we are in education as well as business. It's like charging extra for lessons because you'r in a fancy car. I just think it's gimmicky. A fair price for good quality lessons will always win the day over silly offers and price surges. Call me old fashioned if you like. I opened a mysterious envelope this week. It contained a certificate of excellence for my business based on online reviews, pricing and that sort of thing. It was from Best three rated dotcom. I looked at the site and in the listings there I was with a couple of other reputable driving schools. Not a bad bit of free advertising actually. Anyone else heard of this site? I think that there is a definite shortage of driving instructors at the moment. Every school in the land seems to be advertising for them. I suspect there will be a flood of new instructors soon as the driving instructor training organisations see a gap opening up and swing into action. This wave of extreme business can't go on forever so time to get your business established on the lines of quality training and sensible pricing. We'll never make it rich teaching people to drive but we can make a difference to our pupils and make a reasonable living. That's good enough for me.